OLYMPIA, Washington -- Make No Bones About It featured Ofelia Rivas, O'odham, and the low-intensity warfare that traumatizes O'odham whose families live on both sides of the so-called U.S. Mexico border. 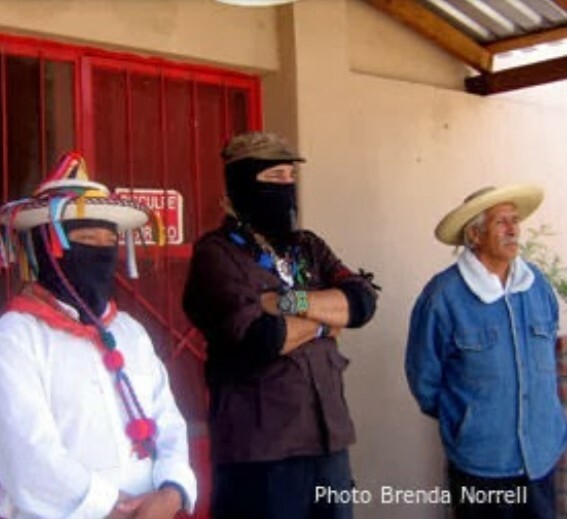 Ofelia is now fighting the spy towers that the U.S. government plans for her community. "Our tribal government seems so weak, and is not standing up for our people." 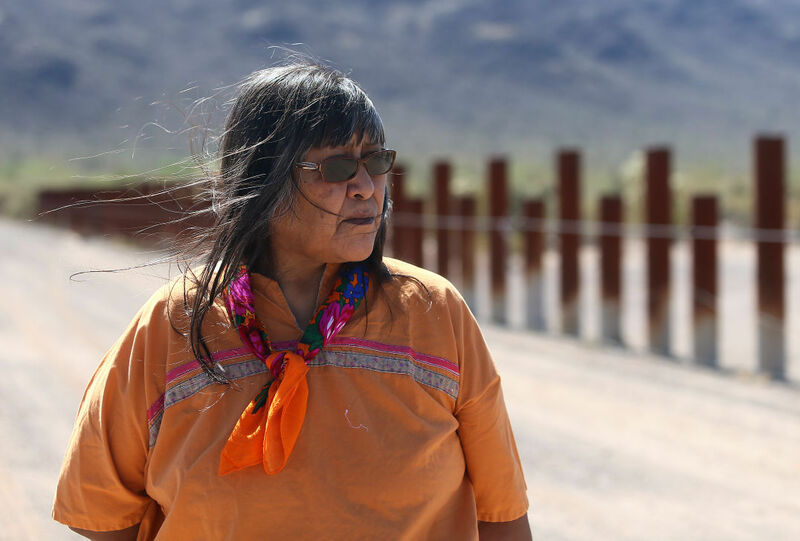 She said the Tohono O'odham Nation government is failing to protect the sacred places and burial places on the mountain where the U.S. government plans to build spy towers in her community of Gu-Vo. During the interview with host Brian Frisiana, Ofelia said she has been traveling along the Pacific Coast, reminding people that we have to do the best for the next Seventh Generation. She describes her homeland, Tohono O'odham, and explains that it is less than one-third of O'odham's traditional homeland. Now, O'odham must deal with constant harassment and militarization when visiting family when they cross the border. "Our lands have been so militarized. We are constantly under surveillance. There are checkpoints." Ofelia said she went all the way to Victoria, Canada, and didn't have any problems crossing the border in to Canada. "I have to show my ID when I go on to my own reservation." She said O'odham are always considered suspicious to the U.S. Border Patrol agents. It is low-intensity warfare. It especially difficult for elderly and children, who are traumatized when they cross the border in to Mexico to visit family. Ofelia said she plans to take blankets and coats to Standing Rock Camp soon, and bring O'odham support for the struggle for sacred water and protection of burial places. Listen to her full interview below, and her struggle for human rights, which included the Mother Earth Conference in Bolivia, and the need to keep the O'odham language and songs alive. She said the songs must be kept alive to heal the relocation and continue the ceremonies. She said the offerings and songs must continue so we can all take care of Mother Earth. "We are so strong, they are so afraid of us. We must continue this prayer." The program begins with the songs of John Trudell. Trees Heal. Children with ADHD have fewer symptoms when they have access to nature. Patients heal faster & with less complications when they have views of trees. Trees & nature aid concentration, reduce mental fatigue. Sacred Stones camp is a spiritual camp. All are welcome to come to share the beauty. The youth started a spirit camp. The youth went on 3 walks. The songs are healing songs. The healing songs are for all the people. Thank you for the songs and continuing the sacred.